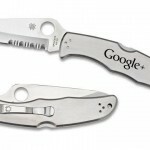 What do you get a movie star to celebrate an exciting new role? 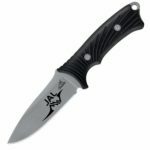 A custom engraved Buck Nobleman knife is the answer! 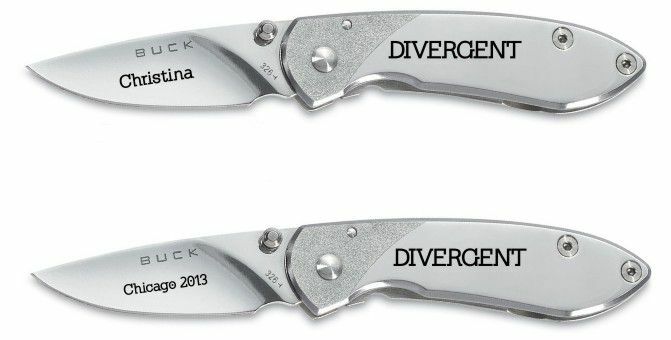 Lazer Designs is excited to be part of celebrating the launch of Divergent, the new film adaptation of Veronica Roth’s book, by custom engraving these stylish pocket knives for the cast. 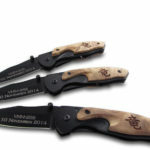 Complete with their character’s name on the blade and the movie title on the handle, be on the lookout for these knives to be seen around Hollywood! Check out who will be holding a Lazer Designs custom creation as new casting announcements are made and we see who is joining Shailene Woodley, Theo James and Kate Winslet in this highly anticipated production. 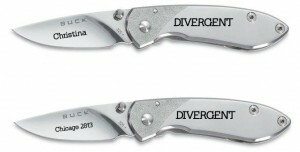 Film is in theaters May 2015 but you can get a custom engraved knife anytime! Next Next post: Best Friends Picture Frames – 3 Ideas to create your own custom best friends picture frame!